Relationships make us human, so when your marriage or relationship is in trouble, it’s easy to feel as though your entire world is crumbling around you. Whether it’s the pain of dealing with infidelity or the ongoing frustration of poor communication, every relationship hits its rough spots. And though a troubled relationship absolutely deserves your attention, spending all of your energy focusing on your relationship’s sore spots can leave you feeling like there’s nothing good in your life, and no reason to press on in the face of stress. 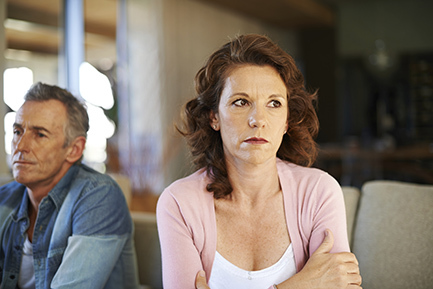 When your relationship is in trouble, here are some simple strategies for keeping the rest of your life from falling into disarray. Relationships serve as a support, a source of self-esteem, and even a reason to get out of bed in the morning. If you’re struggling to retain your sense of identity in the midst of a troubled relationship, or if your relationship problems have damaged your hope for the future, consider seeking counselling. Relationship Counselling can help you even if your relationship crumbles. Better still, even individual counselling can improve your relationship, since the skills you master in therapy can help you improve your communication skills in your relationship. It’s easy to spend all of your time looking for ways to fix your relationship or waiting for your partner to change their ways. But if you don’t protect yourself, you have little to offer to your relationship or partner when things do turn around. Do something you enjoy every day. This makes you a more appealing partner, giving your partner a reason to keep working. Even more importantly, this can help stave off depression and anxiety, and remind you that you are so much more than just your relationship. If you convince yourself that you’ll only be happy when things turn around in your relationship, you’ve put your entire life in someone else’s hands. This is a recipe for misery. Don’t wait for your partner to come around. You can be happy even in a troubled relationship, and if the relationship ends, you can still be happy as a single person. If you have trouble believing this, consider pursuing counselling. When you’re in a long-term relationship, it’s easy to prioritise your relationship at the expense of your friendships. This can leave you feeling isolated when your relationship deteriorates. Take some time to reconnect with your friends and family. Even a single outing or phone call each week can help you feel more connected. Struggling to make friends? Try joining a book club, taking a class, or participating in an activity with like-minded people. It will take your mind off of your relationship problems, and give you the chance to form meaningful, lasting friendships with people who enjoy the things you do and think like you. Your relationship shouldn’t be your sole source of identity. If you work, consider throwing yourself full force into your career. Achievements at work, praise from your boss, and the sense that you’re doing something that really matters can all offset the pain of a relationship that’s floundering. Three Seas routinely helps couples struggling with relationship problems, as well as individuals trying to rediscover a sense of identity in the midst of relationship challenges. If you feel overwhelmed, let us help you chary a course out of the pain and into a happier, more fulfilling life and relationship.